Made from solid aluminum you can feel your striking power magnified by just holding it in your hand. 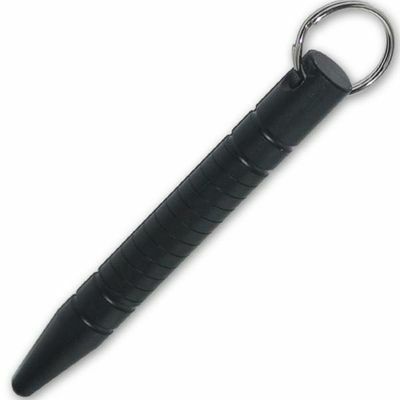 The tapered point and grooved handle make this kubaton one mean little self defense weapon. Although strong and unbreakable, the kubaton is so light it won't slow down your handspeed in striking. 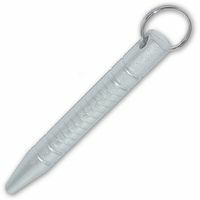 Can be used as a key flail too, since it has a heavy duty key ring attached. Length is 5.5 inches.